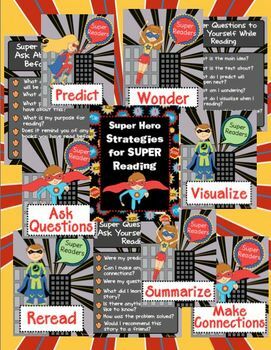 These Super Hero Reading Strategy posters are sure to get your students interested in becoming better readers. 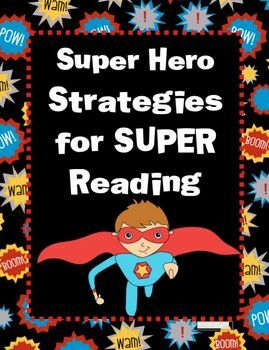 It will help their comprehension because all good readers ask themselves questions Before, During and After they are reading. The students will look to these posters again and again!